2. 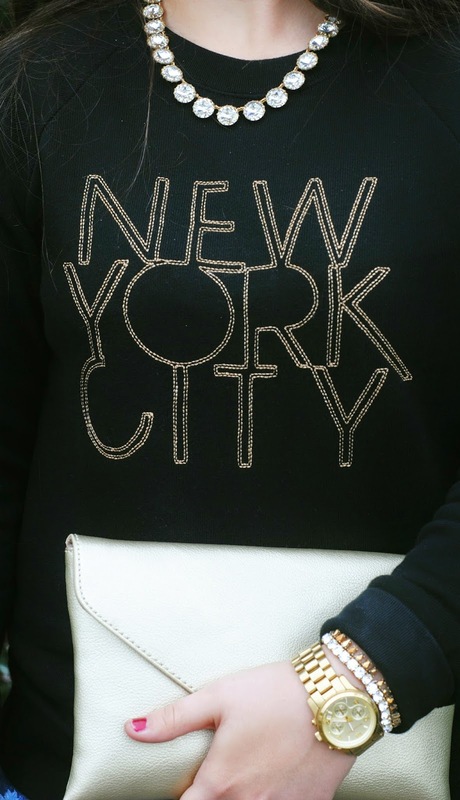 Have the words "New York City" or anything about NYC on it. This sweater was one of my Christmas gifts, and I am obsessed because it encompasses two of my favorite things in one sweater! 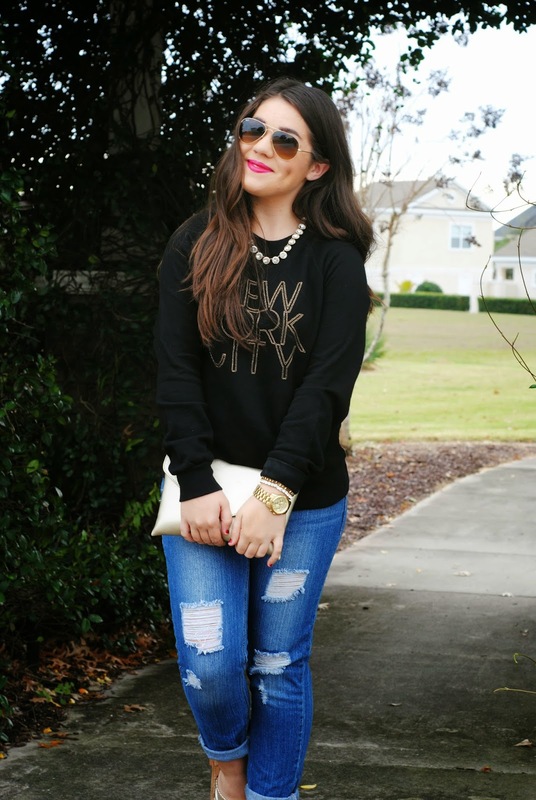 This sweater is from J.Crew Factory, as well as the necklace and clutch! Right now all three of these things are online and on sale! The whole website is 30% off so you guys should go check it out now! I will have all the pieces linked down below! Okay everyone, there are two exciting things! 1. I got a new blog design, and I love it! 2. Only 4 more days till Christmas! So yes I did get a new blog design. I bought this template off of 17th Avenue designs on Etsy, and it was so easy to install. I love how simple, and clean this blog template is. It just makes my blog look so much more professional. It was definitely time for a change. 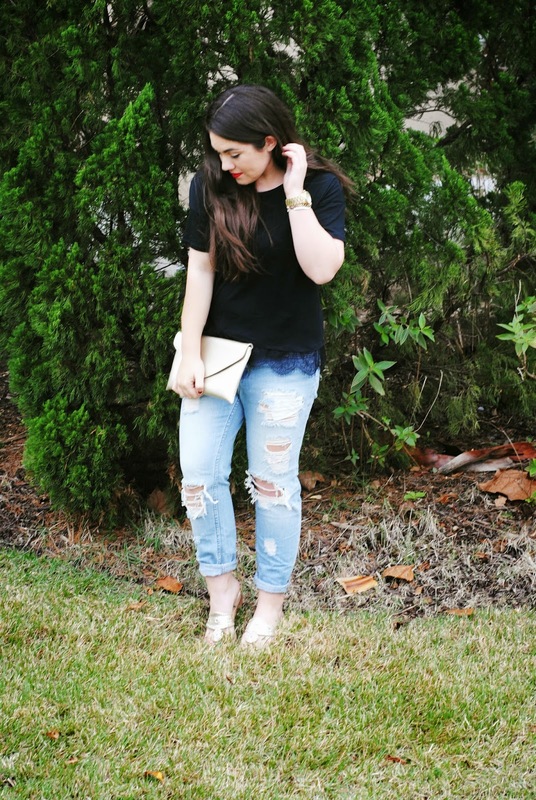 I also wanted to show off my new blog design with a new blog post! 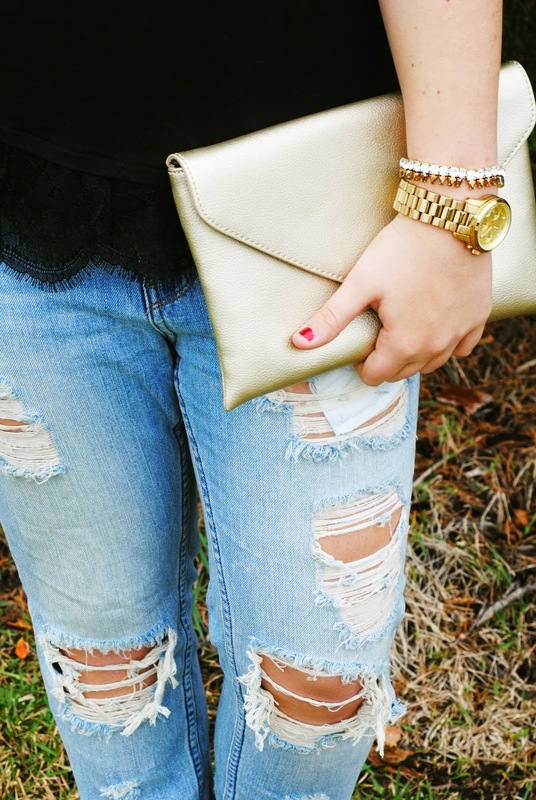 I am obsessed with this outfit! 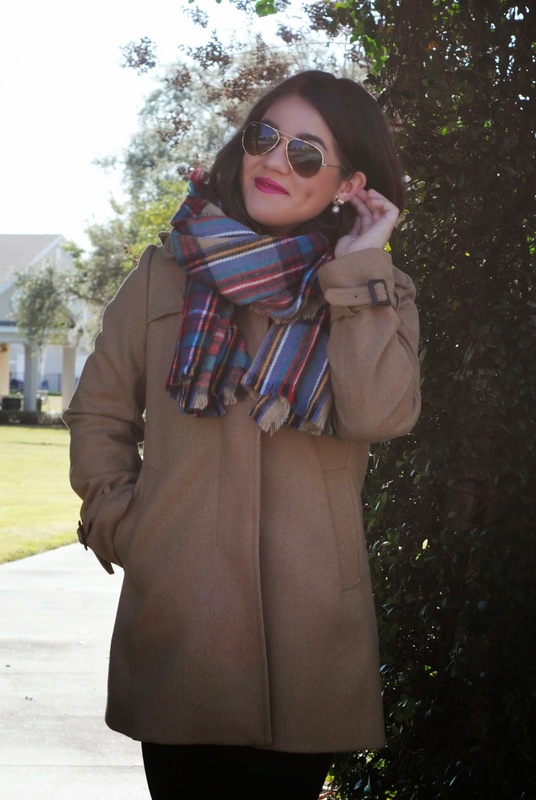 This coat was my mom's, but she is definitely not getting it back! 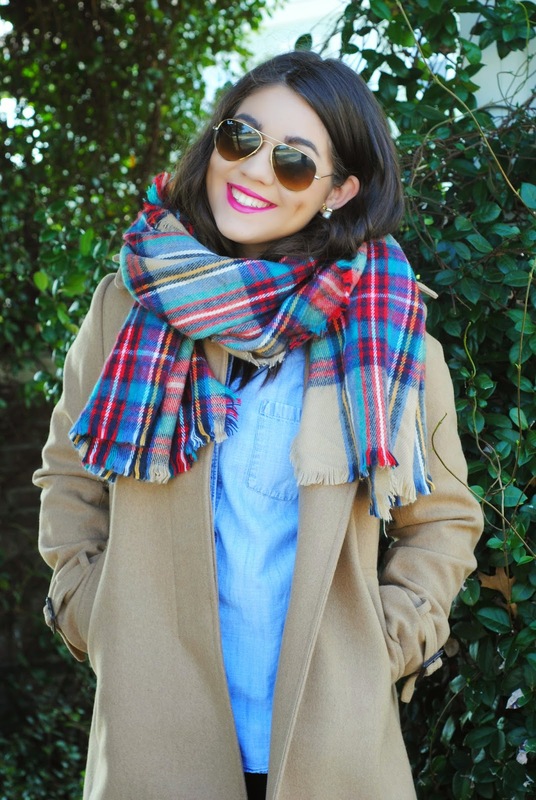 I love the way the scarf matches the chambray shirt and my red lips. 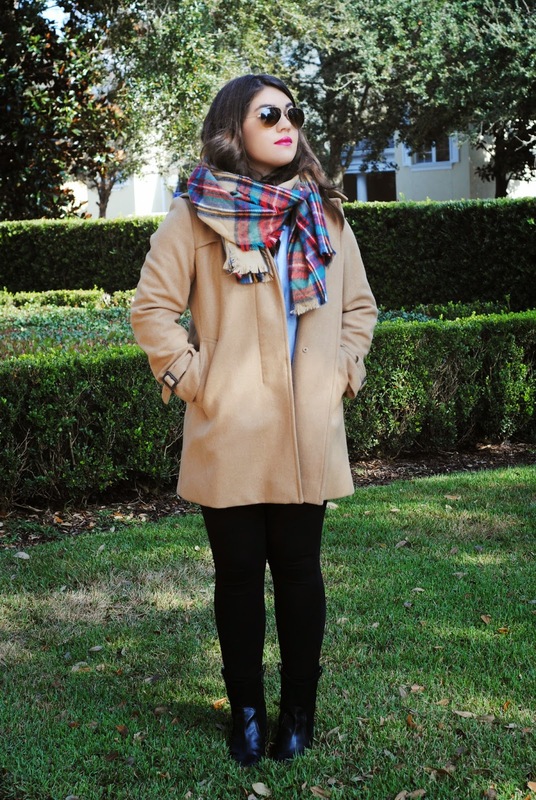 This outfit is so classic, and timeless. Hope you all are having a great Sunday & Happy Holidays! 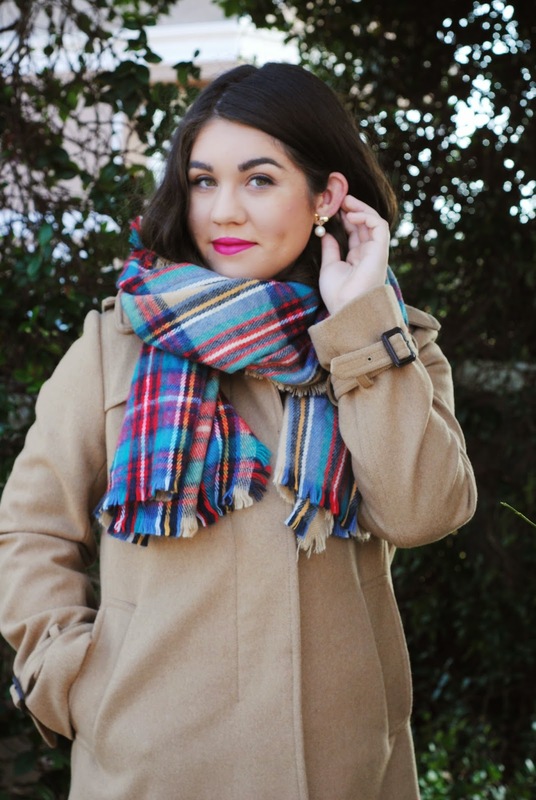 This plaid blanket scarf from Marley Lilly is probably my favorite winter accessory! 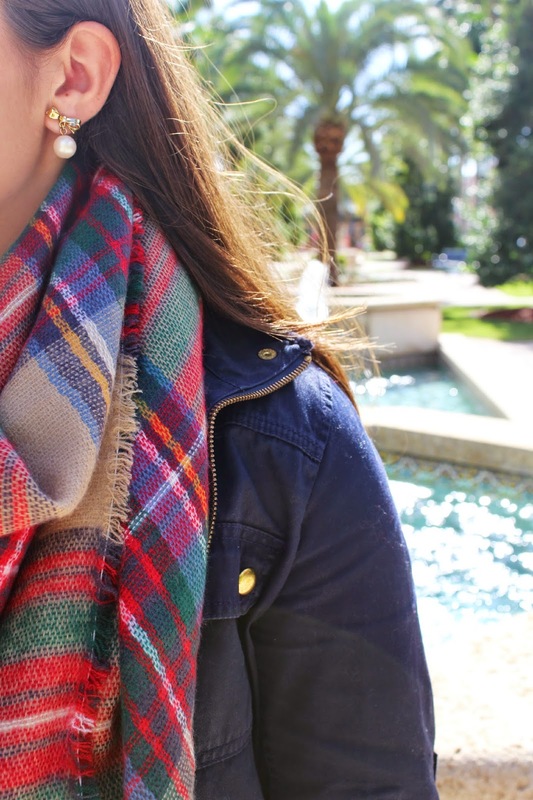 I know in Florida it doesn't get super cold, but when it does (the days it gets in the 40s) I need a scarf to keep warm, and this is the perfect one! 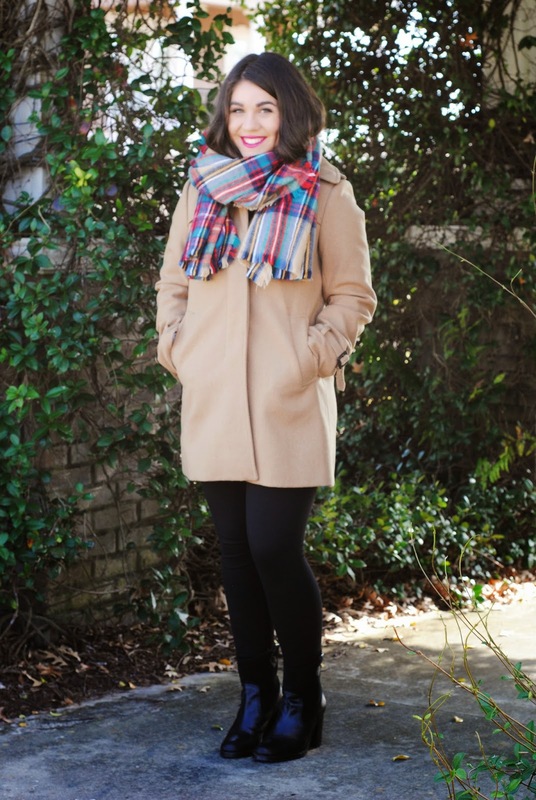 This scarf is ideal for layering, staying warm, and looking fashionable. 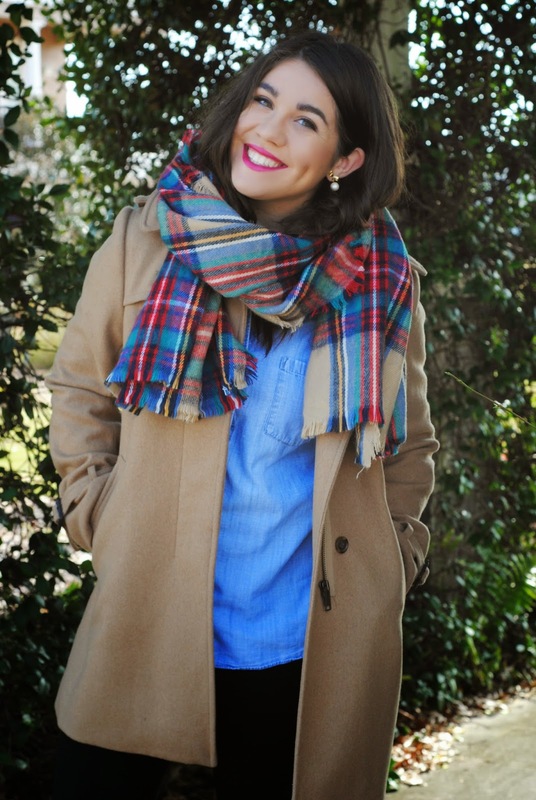 Marley Lilly offeres this scarf in other colors so make sure to go check it out! Super exciting news guys! Marley Lilly (my all time favorite company to order monograms from) selected me to participate in their blogger review program! I was so unbelievably excited that they picked me! They sent me 3 products to review for you all on my blog. 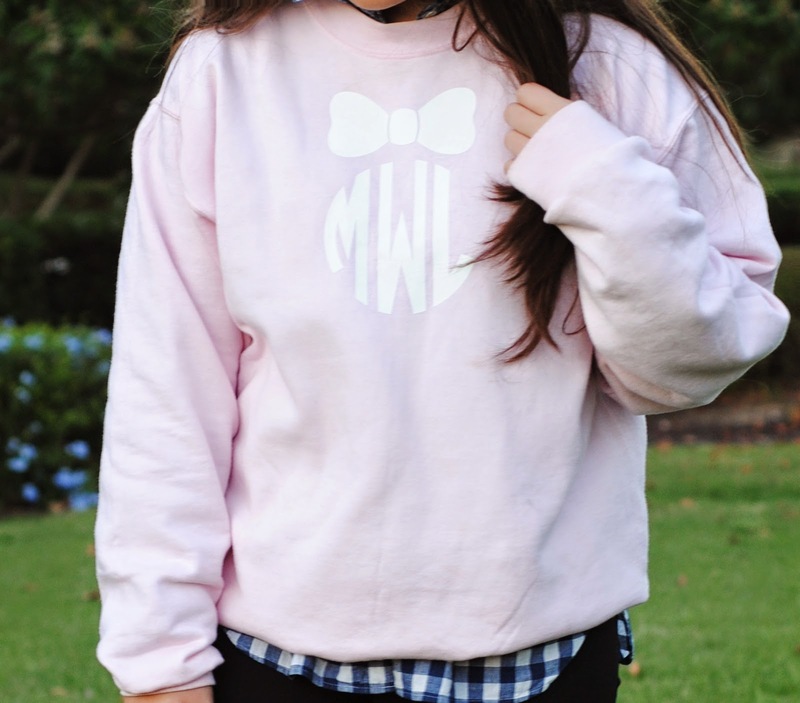 The first item they sent me is this Monogram Bow Crewneck Sweatshirt. I am not lying when I say that I have worn this EVERY night! Being in college, this is the perfect sweatshirt to throw on and go when I am headed to the library for a study sesh, or lounging in my dorm room. It is the comfiest sweatshirt that I own, and I basically live in it. 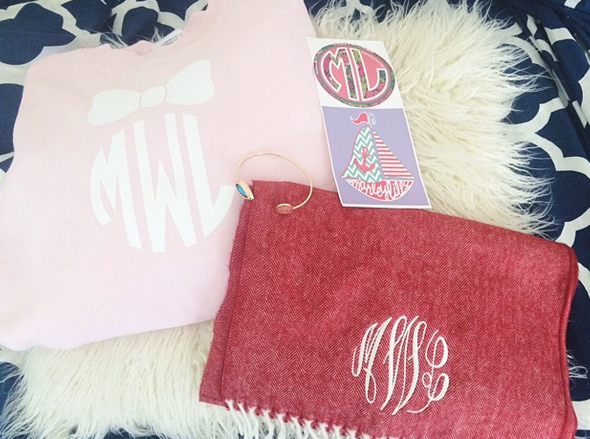 Not to mention it has my 3 favorite things; bows, monograms, and pink! It definitely runs big, so if you want your sweatshirt to be tighter I would go down a size. 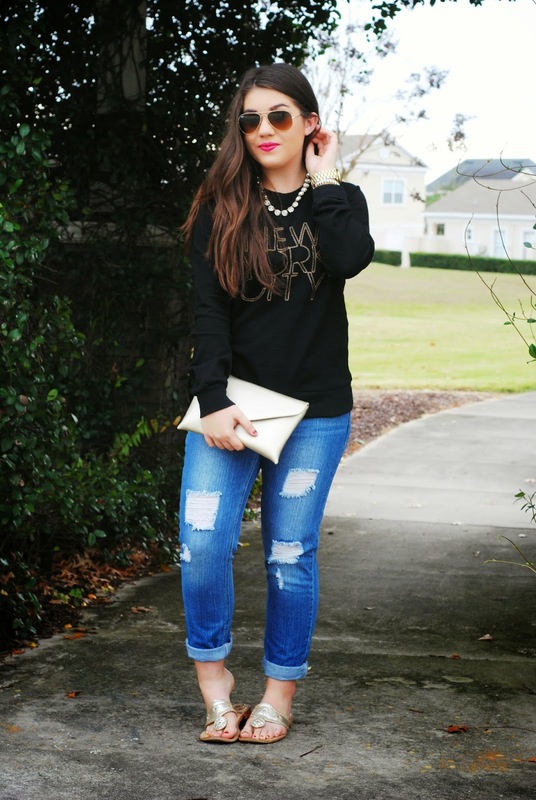 The second item they sent me is the Monogrammed Teardrop Stone Bracelet. This bracelet is the perfect statement. I love the blue stone on the bracelet they sent me because it matches with so many things! 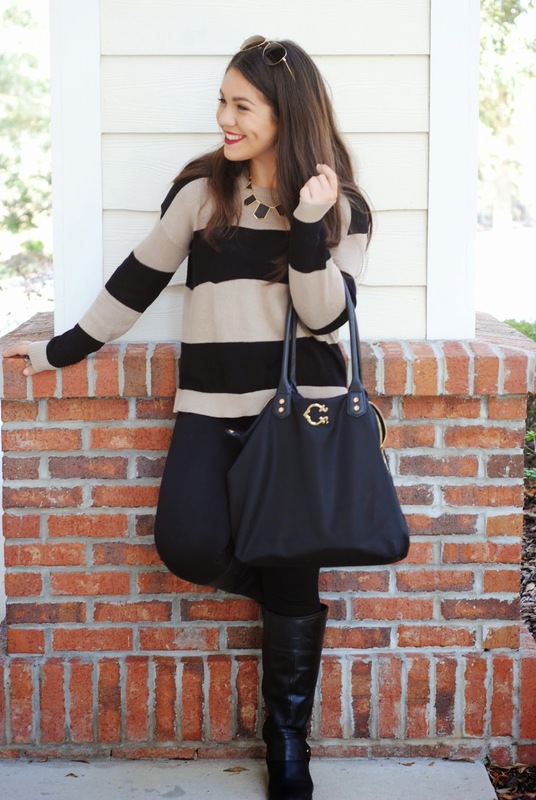 I wore the bracelet with an all black and white outfit and I love that it added a pop of color! 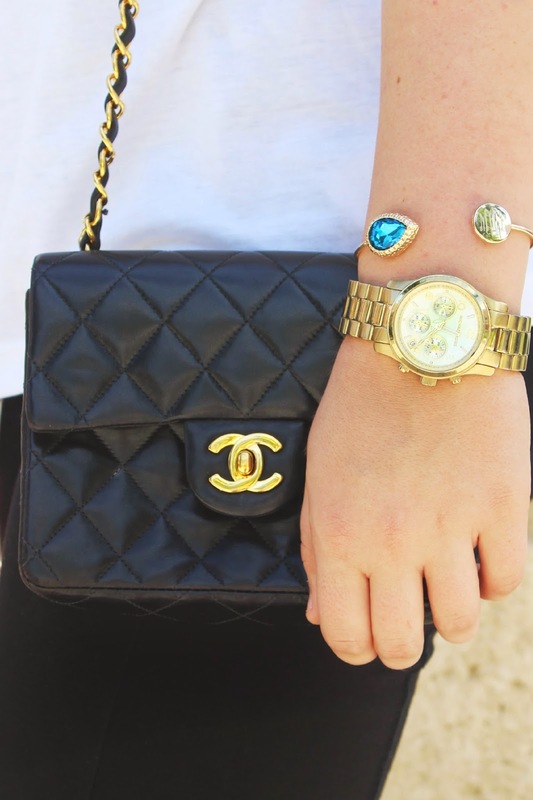 Its a delicate bracelet, and perfect for stacking with my gold Michael Kors watch! 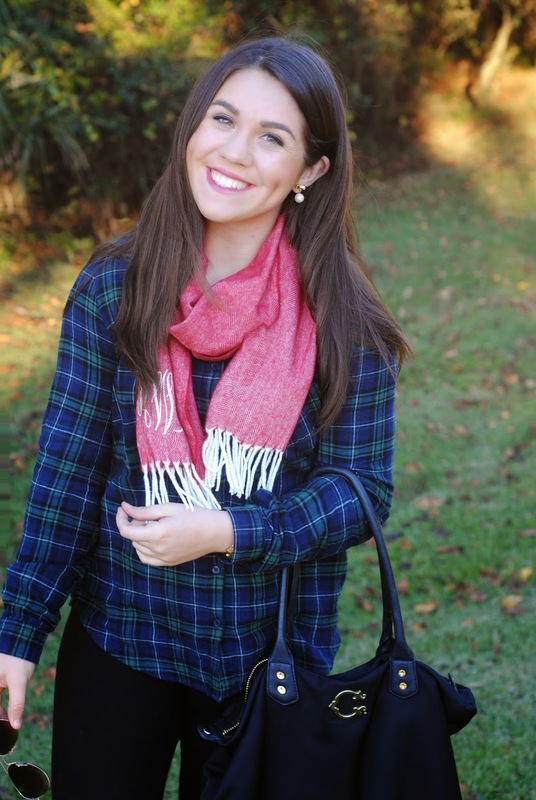 The last item they sent me is the Monogrammed Cashmere Feel Scarf in the color Red Herringbone. 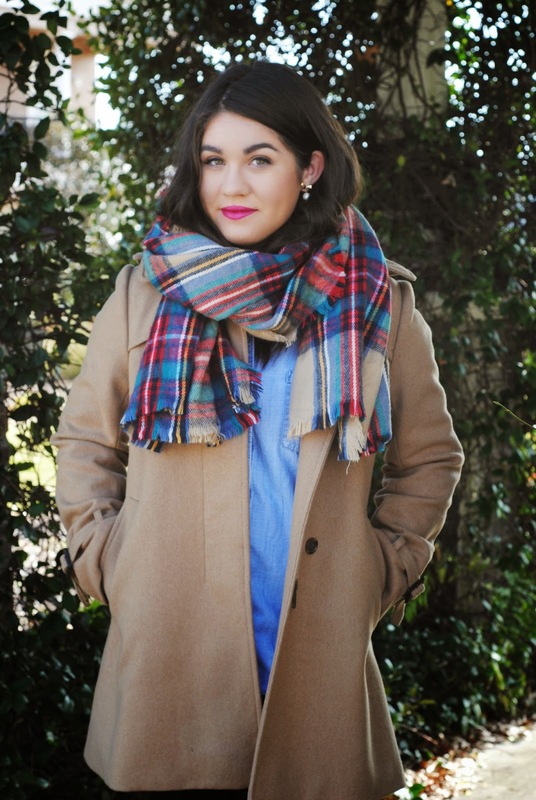 Let me tell you guys, this scarf definitely feels like cashmere! 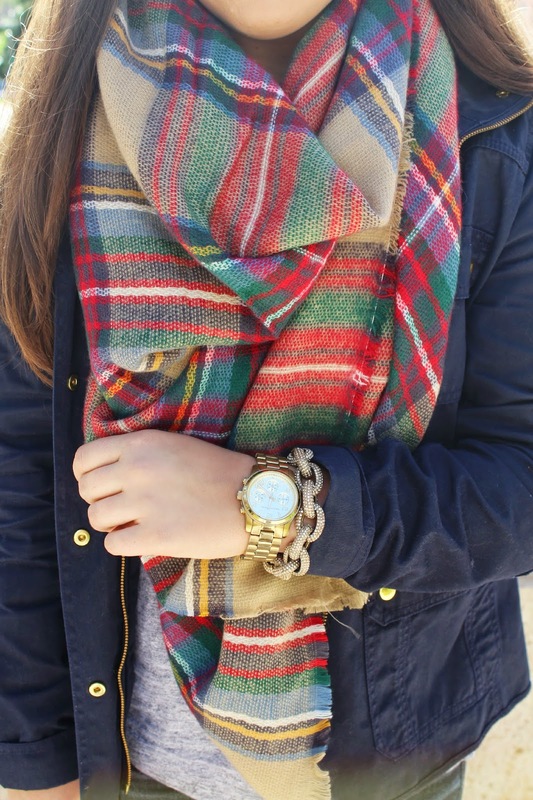 It is so soft, and the perfect scarf for the holidays. 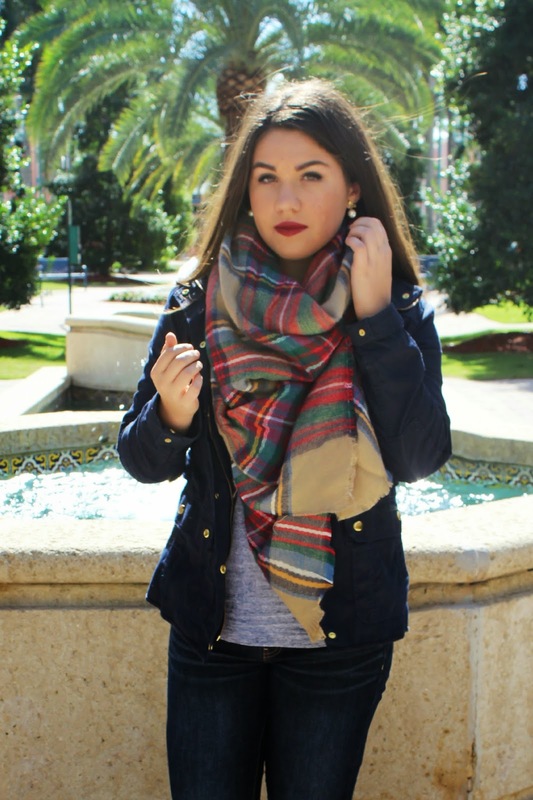 In Florida it doesn't get too cold where I need a huge thick scarf, so this is the perfect scarf to wear in the winters down here. Overall I am so in love with every product they sent me! I will get so much use out of all of them, and they are such great quality! Thank you so much to Marley Lilly for sending me these products! 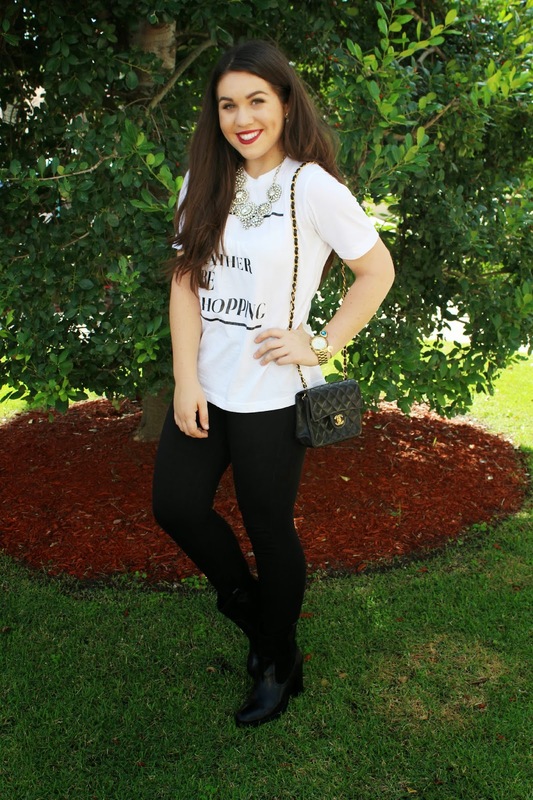 Here are some more photos of how I styled these products! Thanks for reading, and I hope you all enjoyed! 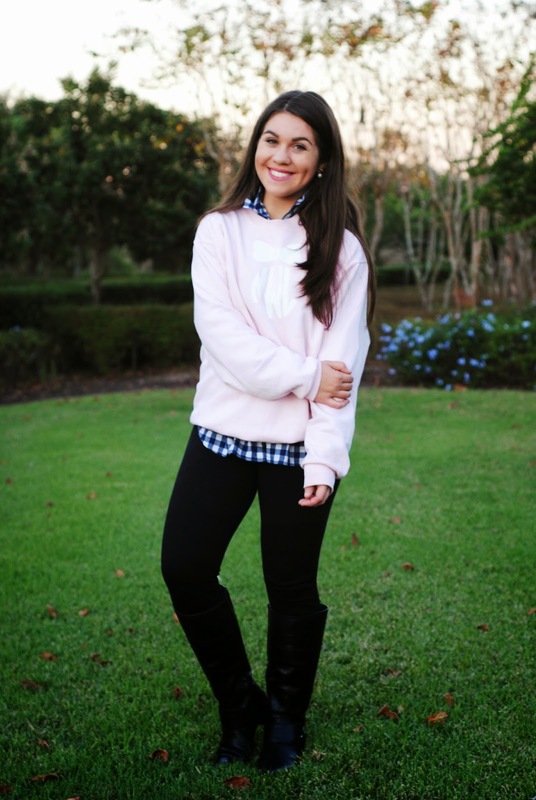 Make sure to check out Marley Lilly! 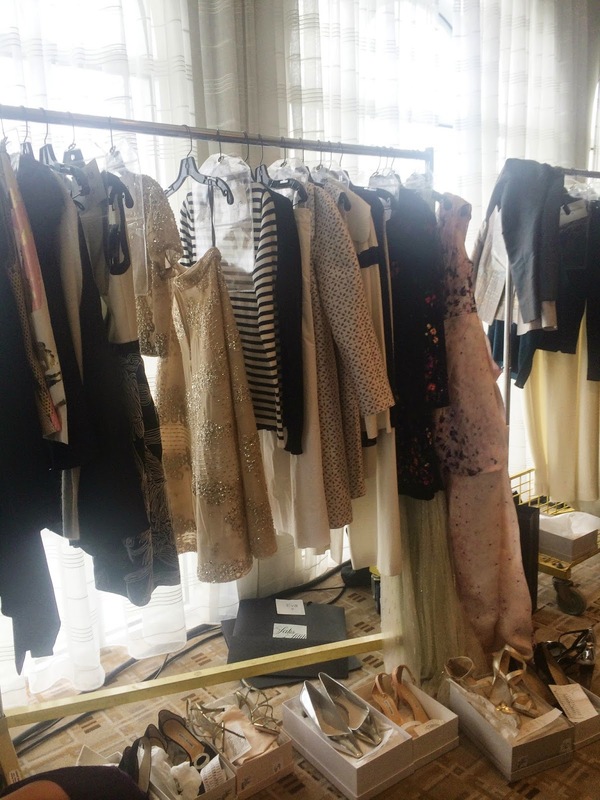 One of the most stressful but exciting things I have ever done is work behind the scenes dressing models at fashion shows! I am lucky enough that my universities fashion program allows us with the most amazing opportunities to work these fashion shows. This was my first "major" fashion show I had to work, and it was for Saks 5th Ave, and I was dressing models in Oscar De La Renta ball gowns and Jimmy Choo heels. There were 12 models at this show, and only 4 other students from my school showed up to dress models (including me). 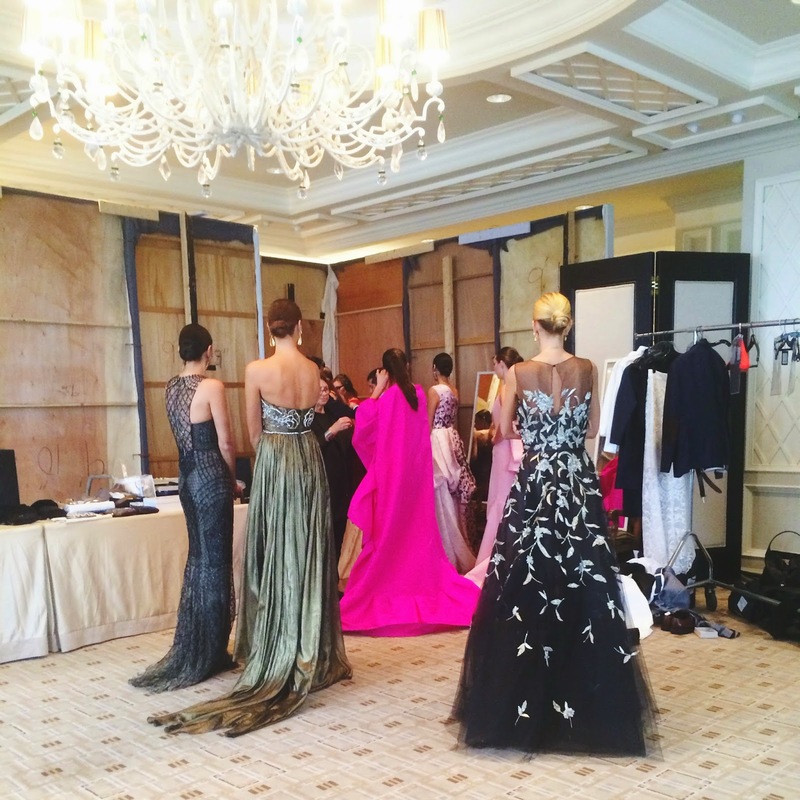 We arrived at the Palm Beach Country Club, and walk into a back room filled with all the models trying on their outfits. My teacher told us that we all had to dress two models! The last fashion show I worked at for Lord + Taylor was stressful enough and I had one model and 3 oufit changes. This time I had 2 models, each with 6 outfit changes! Not to mention, they were wearing gowns with corsets, millions of claps, and zippers! It was definitely a daunting task, but I knew I could do it! Once the show started it was so hectic, but I loved every minute of it. 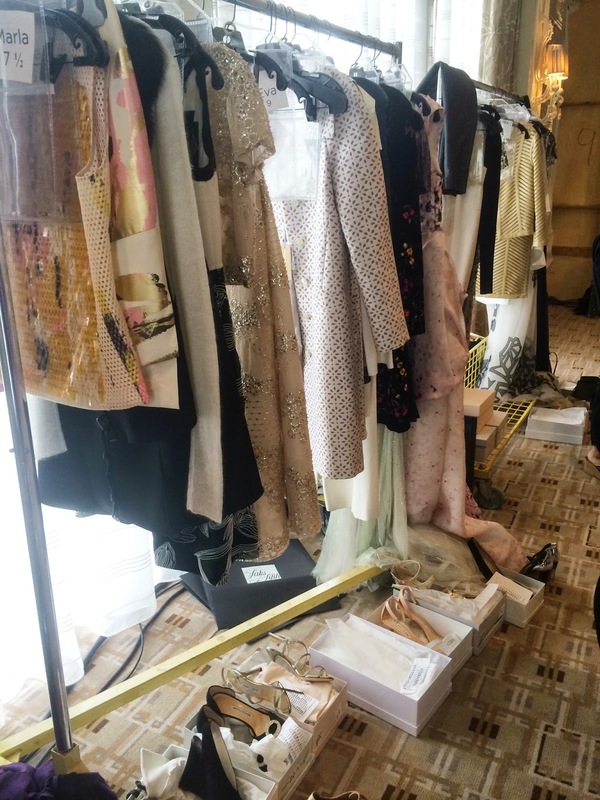 On Wednesday I am working another Saks fashion show on Worth Ave in Palm Beach and it is supposed to be a huge show, so I will definitely post pictures after working that! 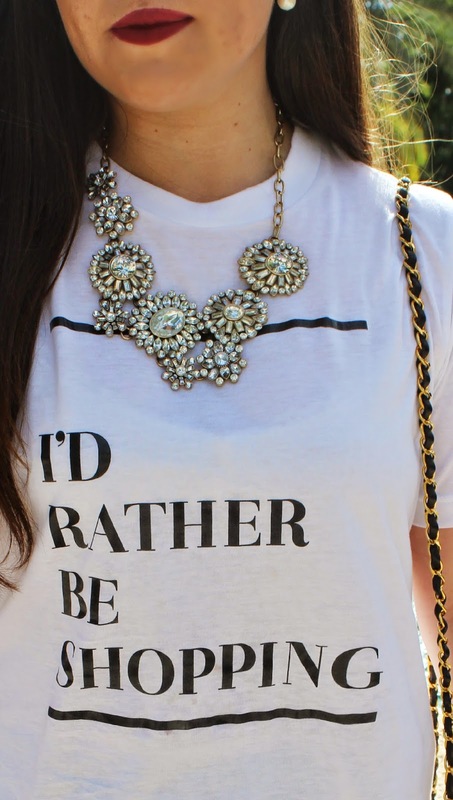 This shirt is basically me. If I could put a quote on a shirt that defines me, it is this. 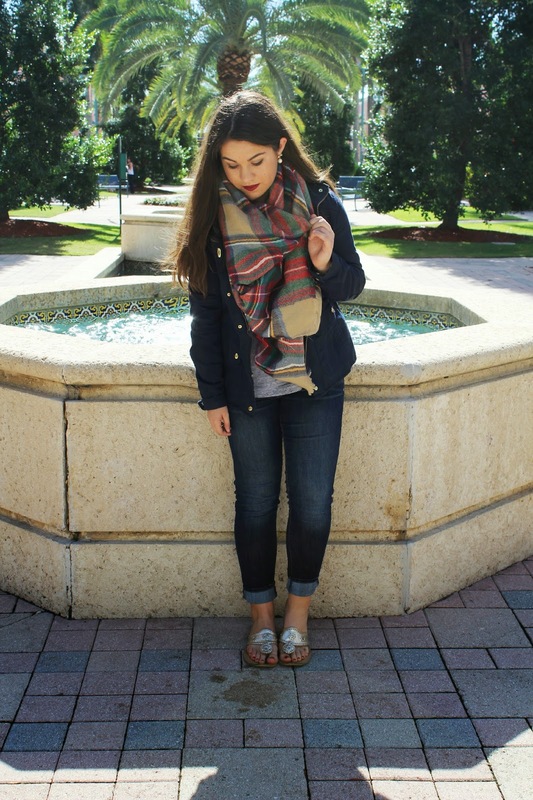 Since I moved to Boca Raton I am only 2 minutes from the mall (aka I go shopping probably 3 times a week). 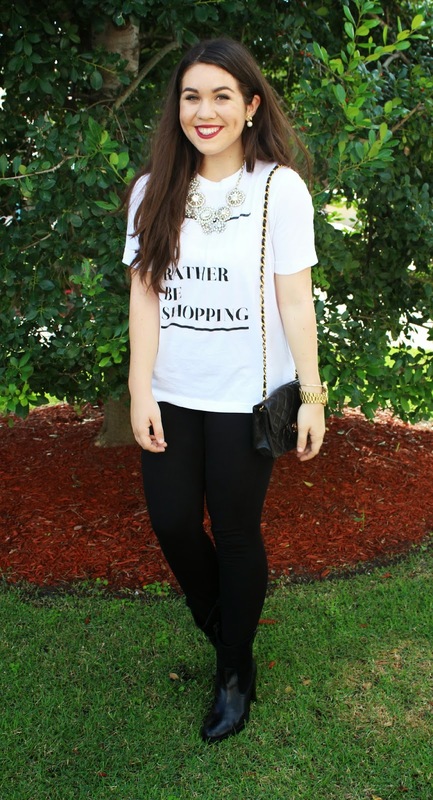 I paired this shirt with a statement necklace to dress it up, and then I kept the black and white theme going with my all time favorite pixie pants from J.Crew and these black heeled booties from Ralph Lauren. 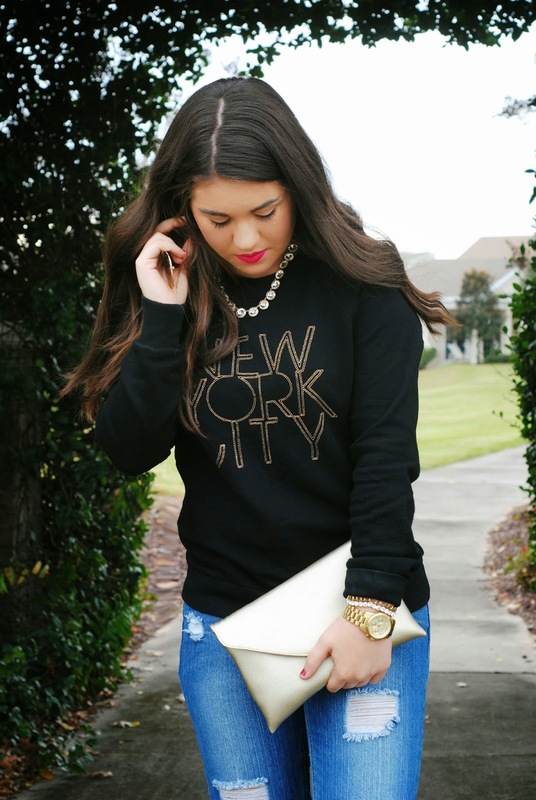 I love this blue teardrop monogramed stone bracelet from Marley Lilly. 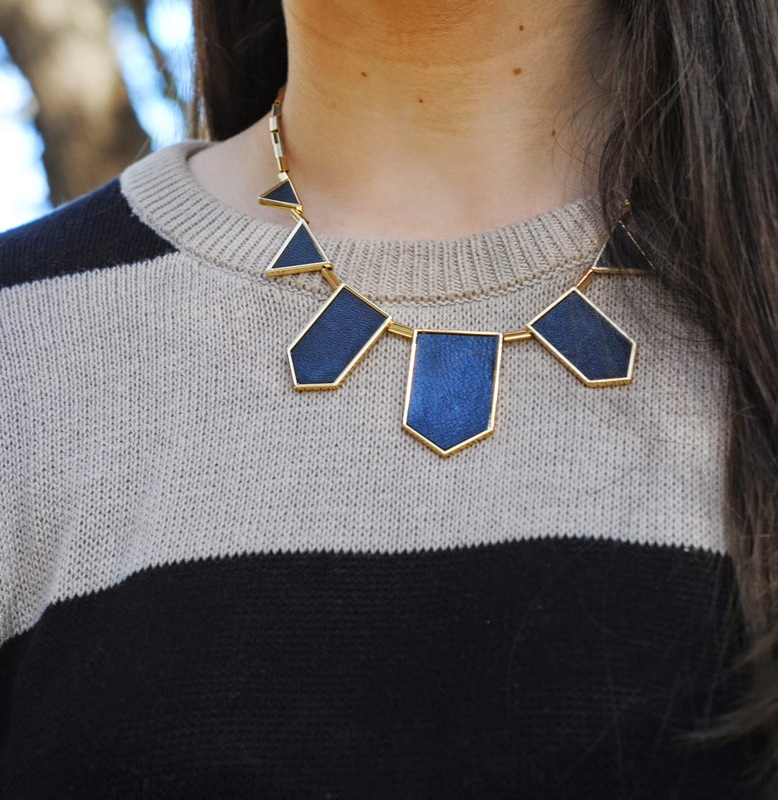 It is so classic, and adds a pop to any outfit. 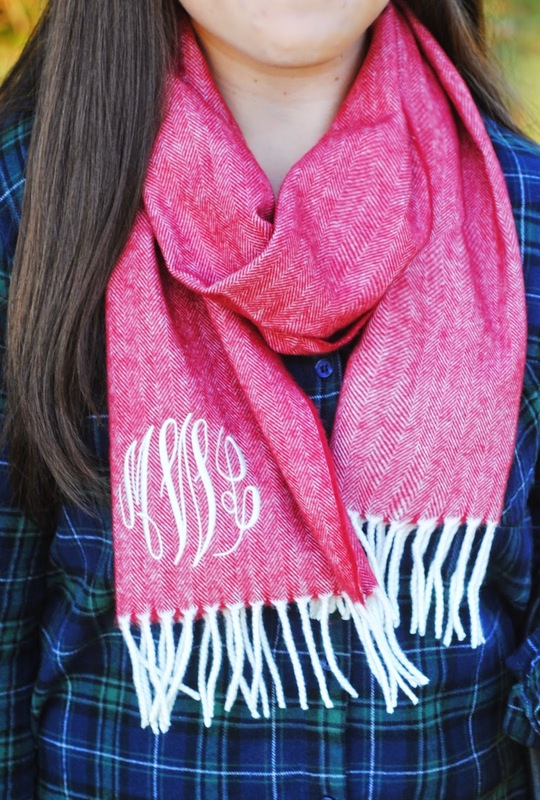 Of course I love it because it has my monogram on it too! 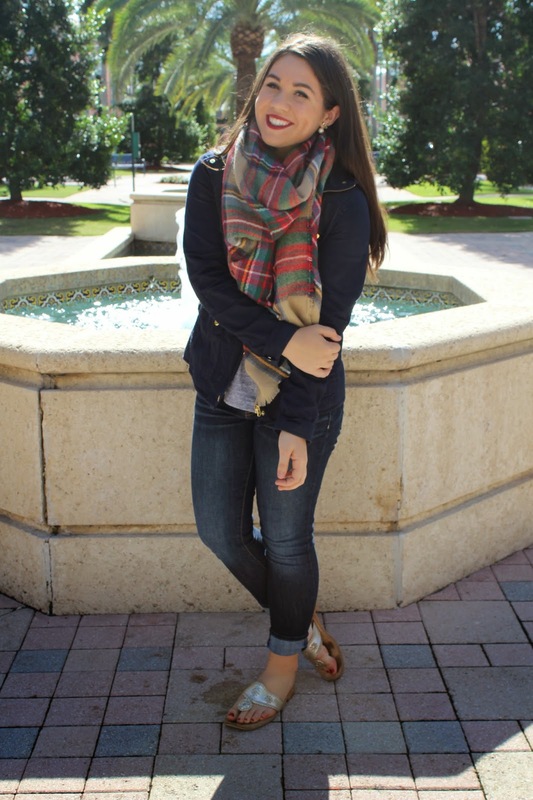 I had so much fun taking pictures today with my good friend Linzi who just recently made a blog! So make sure you all go check it out! Living in South FL. it definitely does not get cold enough when I can wear boots and a sweater. But when I went home this weekend it was in the 60s all day! 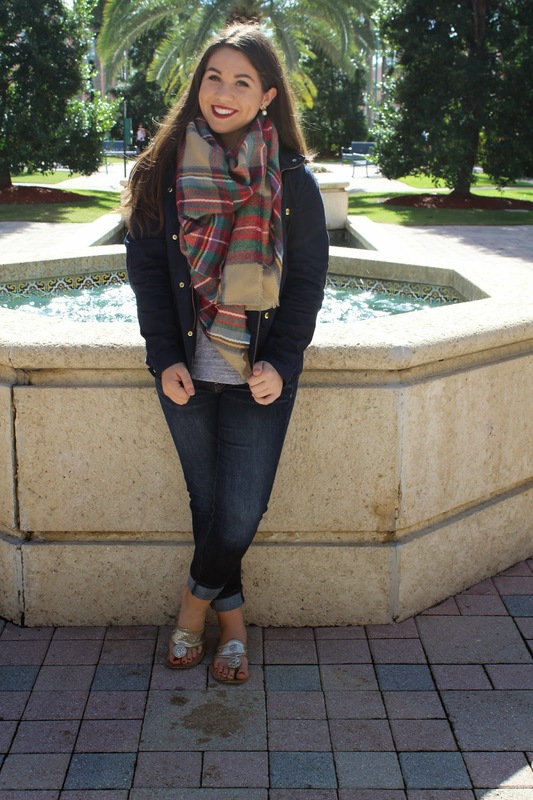 I was so excited to finally dress like it is actually Fall. It was honestly the perfect weather. 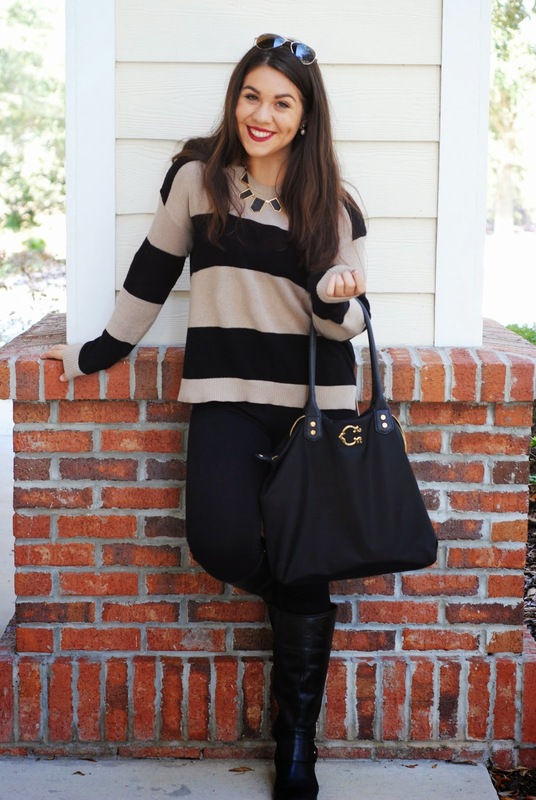 Im not going to lie, I love wearing all black, but instead of wearing a black shirt with this outfit, I opted for a tan and black sweater that I actually bought on black friday for $13 (what a steal)! 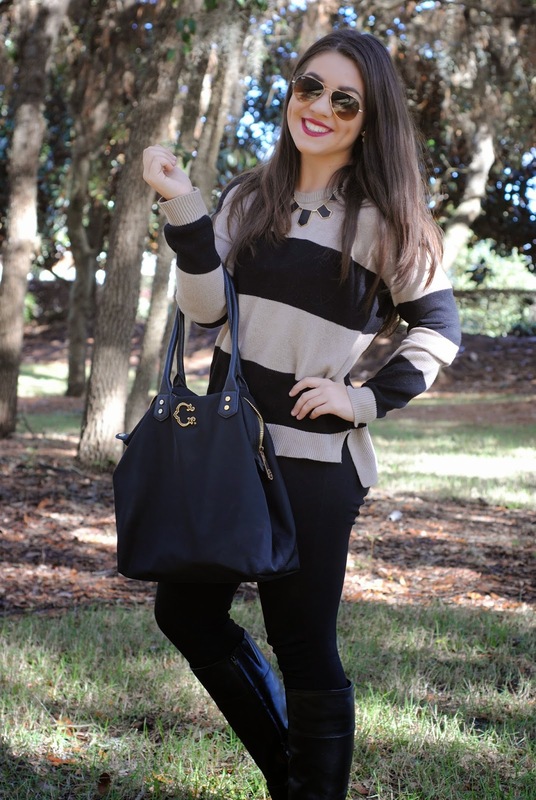 I then paired this outfit with my favorite dark lipstick & necklace that I got in my Rocksbox(review coming soon) which is from House Of Harlow! I am going home for the holidays next Thursday, and will be home for 3 weeks! So there will be plenty of new blog posts coming soon!